Virginia Estates specializes in finding, researching, & brokering the sale of farms in Virginia. Our dedicated team, resources, and our diligence on behalf of our clients in assisting them to attain their goals is where we excel. Named for the Shenandoah River, the valley includes eight Virginian counties, several notable caverns, ten cities, and gorgeous views. While the Shenandoah Valley is known famously for its views, it’s best-kept secret is its farmland. Farming is becoming increasingly popular and picking out the right farm for you, your family, and your future is very important. 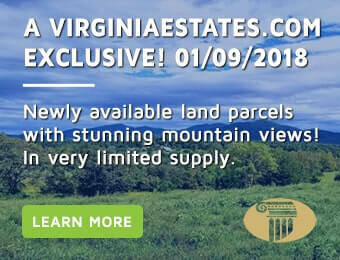 Here at Virginia Estates, we have an expansive knowledge of the area as well as the process of buying and selling farmland in the Shenandoah Valley. How much work do I want to do day in and day out? What am I interested in growing or raising? If you have a family, is this family friendly? How much land is enough land for me to complete my goals? How far away do I want to be from retail stores/gas stations? You might not have answers to these questions yet, you will want to familiarize yourself with what your end goals and visions are for your farm and day to day life. Virginia Estates will assist you in realizing those goals and ask even more questions to make sure you find the right place at the right time for you to live out your dream. If you are interested and ready to start realizing your dream of owning a Shenandoah Valley Farm, please call us at (877) 646-8800 or by filling out the Contact Form and we can get started today!